Los Afro-Latinos: Today in Puerto Rico, do you think there’s a different view on being Afro-Latino? Is there a different view on teaching this ancestry to children in Puerto Rico today? Sandra Andino: Yeah, definitely, the awareness of our roots and connection with Africa is much more open. The younger generation identifies more with what it means to be Afro-Latino in every sense of the word. It doesn’t mean that there isn’t racism; it still exists. There’s much more openness and also much more sensitivity [about our] contributions to Puerto Rican society and culture. You hear people in Puerto Rico, in the last decade, using the term Afro-Latino, and they are talking about themselves. People are now more open to their ties with Africa. Puerto Rican culture and heritage is greatly influenced by Afro-Latinos; not just in terms of folklore or music, even in education. Evelyne Laurent-Perrault: Venezuelan and Haitian Doctoral Candidate, Afro-Latin America and Caribbean History, raising a family with husband Ronel Perrault. I don’t know if in the school system that an (Afro-Latino) awareness or consciousness is being taught. Because when I was in Puerto Rico in March for a conference on Negritud, I heard speakers from Puerto Rico say it’s been a big struggle for educators, who are aware of our African roots, to introduce the concept of blackness into the education curriculum. There’s still that resistance from the dominant, political white society in Puerto Rico. There’s been progress and there’s more awareness and identifying with the term [Afro-Latino]. Just because you now have events and people are talking about Afro-Latinos in a positive light, it doesn’t mean that racial issues don’t exist. 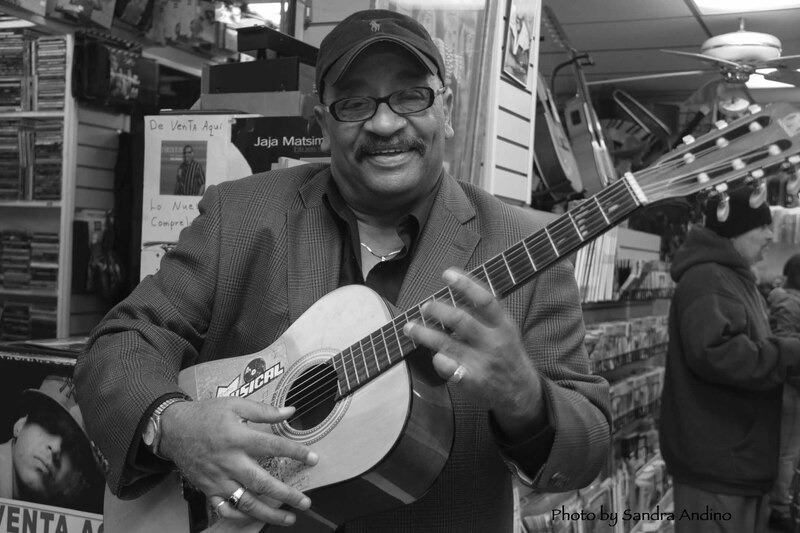 Los Afro-Latinos: Let’s shift the conversation to the photo exhibition, What Does It Mean To Be Afro-Latino in Philadelphia: Stories From El Barrio, displayed in 2011. When and why did you decide to create this exhibition? And what were you hoping people would take away from it? Sandra Andino: The idea [Exhibit] came about in 2009. I’m part of the Arturo Schomburg Organizing Committee in Philadelphia. Every year, the organization celebrates Dr. Schomburg’s contributions towards educating and promoting issues, themes and subjects about Afro-Latinidad throughout Philadelphia and the nation. During one of our annual events, “Feminism and Afro-Latina Feminists, Activists and Artists,” a panel of women, mostly from Philadelphia, were talking about what it means to be Afro-Latino. Some of the panelists had some problems accepting themselves and internalizing being Afro-Latina and being proud to say it. Seeing these women struggle, I thought, there has to be a way artistically and visually to teach young people about being Afro-Latino in Philadelphia. Jesse Bermudez: Puerto Rican and Cuban, Music Entrepreneur – Producer, Promoter and Radio Host. Being Afro-Latino, struck a chord with me, because I understand the struggle of accepting, adopting, internalizing and seeing Afro-Latina as a positive. I wanted it [Exhibit] to really portray people from all walks of life and all ages. I wanted a wide range of subjects: artists, scholars, young people, old people and educators. I felt like there weren’t enough images in the media that are positive of people identifying as Afro-Latino. Our Latino community still has a lot of issues with it [being Afro-Latino]. It really made me understand that people are interested in this subject and want to learn and see more positive images of Afro-Latinos in Philadelphia. It’s my intention to have an even larger show with more people. Los Afro-Latinos: Before this show were you involved with photography? Did you consider yourself a photographer? Sandra Andino: Yes, I’m a photographer. I’ve been a photographer for many years and I had many other exhibits – group and solo – but never any around this theme. It just started to grow in me that I wanted a show to specifically focus on this. I had never done a show where I printed something this large; these were poster-sized photos. I wanted them to really stand out. I wanted it big so that when people were standing in front of these pictures it was like they were actually seeing and talking to the person, having a conversation. The pictures were accompanied by text which included a biography and excerpt of the conversation I had with them. Karla E. Mota Rojas: Puerto Rican and Dominican, Bomba Dancer and College Student. 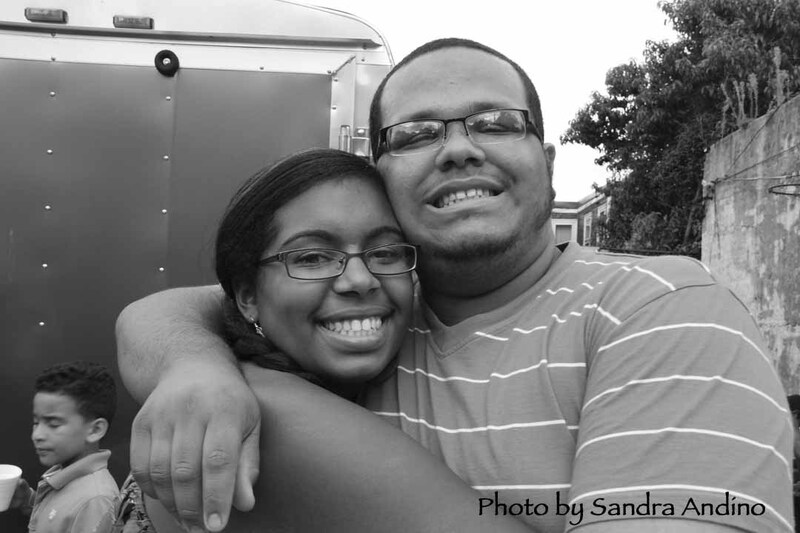 Joacim Fuentes Rojas: Puerto Rican, College Student and Christian Youth Leader. Los Afro-Latinos: Did you find anything in their stories that surprised you? Sandra Andino: No. It was a wonderful learning experience because there were many stories that were similar to mine. And this show was confirmation that the experiences I had gone through weren’t mine alone. What did surprise me is that the youngest subjects from the show were high school students who recently graduated and were going to college. And when I asked them about being Afro-Latino, me coming from the old school, I thought they would talk about it in a much more negative way, but it was quite the opposite, especially a girl named Karla Mota. She was so proud! She was so clear from the time that she was a child identifying with being Afro-Latino. It wasn’t an issue for her like it was for me. For me it was a discovery that took 30-something years for me to realize yeah, I’m Afro-Latino and I’m proud. She was already there and she was so young and that really just surprised me and filled me with joy and it was a really big awareness piece for me. It made me feel like I’m glad that some younger generations aren’t going through the racial experiences that I had or others my age had. There’s some kind of breakthrough. This young lady’s upbringing is very different than mine. She goes to a school that’s much more diverse than mine was. And the fact that she lived and played with other people, who were African or Caribbean, made all the difference. She also came from a family that is very involved in music and the arts and is heavily influenced by African culture. So that also plays a part in how she saw herself and saw that black was beautiful. Los Afro-Latinos: I know you have a Ph.D. in Cultural Anthropology. When you’re photographing a subject, does your educational background and knowledge of the field influence your photography? Sandra Andino: Yes, yes, definitely. As a photographer, I wasn’t trained in a fine arts school. I was mainly self-taught. I did study photography at the Arts League in Puerto Rico. I had a scholarship to study photography when I was in college and I did take some courses in college, but I didn’t major in photography. It was something that I always loved doing. For me, with this show and whenever I’m taking pictures, I’m always thinking, ‘What’s the significance of my work, especially from a cultural view? My intention as a photographer, in many aspects, not all the time, is not only for it to be art, but to be an educational tool to change people’s minds and views about a particular subject. And that’s heavily rooted in my studies as an anthropologist, how to use photography as a way to portray people and cultures. 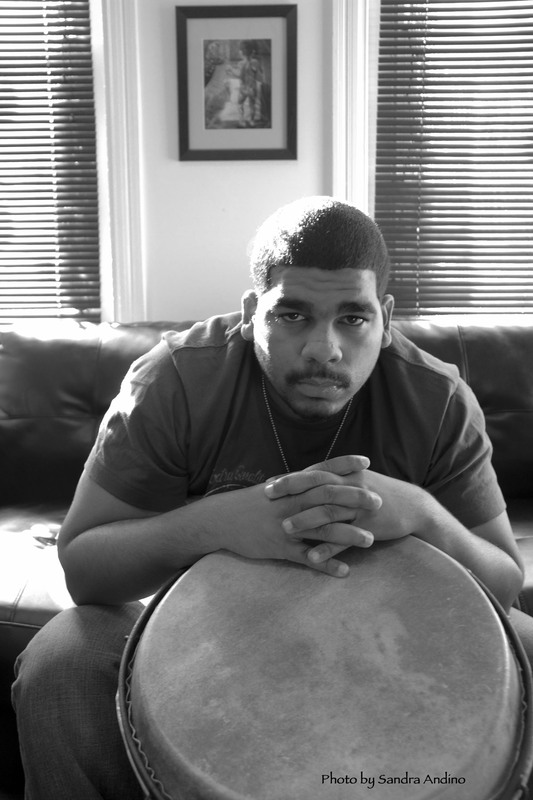 Los Afro-Latinos: Speaking of aesthetics, how do you choose when to use black and white rather than color for a subject? Are there some people who do better in one or the other? Sandra Andino: I always had a love for black and white (photography). And when I started to study photography as an art form, that’s when the whole idea of black and white photography as an aesthetic concept started to play more into my work. I didn’t want people distracted and sometimes color can be. I wanted to keep it simple. I wanted people to focus on the beauty of the photos and the stories. Maybe in the second phase, I’ll do color in some portraits. Los Afro-Latinos: You’ve said that last year’s exhibit was the first phase of this project. When can we expect the second phase and will that be the last one? How will it be different? Sandra Andino: I don’t know. I’m not sure. It may depend on funding. I’m not sure how many phases there will be. My idea, initially, was to do about 25 photographs. But that’s a lot of photos and I would need a much, much larger space. And for the second phase, I want to keep a large scale. I love the scale. The second phase will be another show where I will include more portraits, more people and in a bigger space. But other things I want to do with this; I want to create a book or website. It’s another way to make it accessible. Because even though the show was up for three months there were people who missed it. Books are history, they’re a document like photography that captures and is a record. Writing from a native point of view, because that’s how I see the show, an Afro-Latina showing you Afro-Latinos. It’s a way for us to reaffirm who we are and leave a mark. 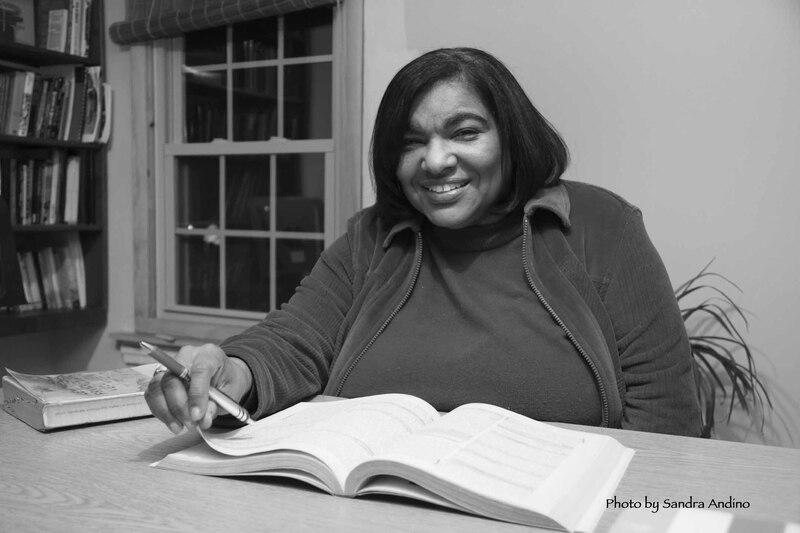 Maria E. Mills-Torres: Puerto Rican, Multicultural Educator, Curriculum and Language Specialist. Los Afro-Latinos: As Taller Puertorriqueño’s Director of Education, have you been able to incorporate more programs and topics involving Afro-Latinos and Africa’s influence in Latin America? Sandra Andino: Definitely, in our curriculum. It’s making our community, especially the children and youth, aware of our connection with Africa. And why that’s important to break down stereotypes. As much as I can, I incorporate that into our curriculum, into our practice, how we relate to each other. It’s something I carry with me. 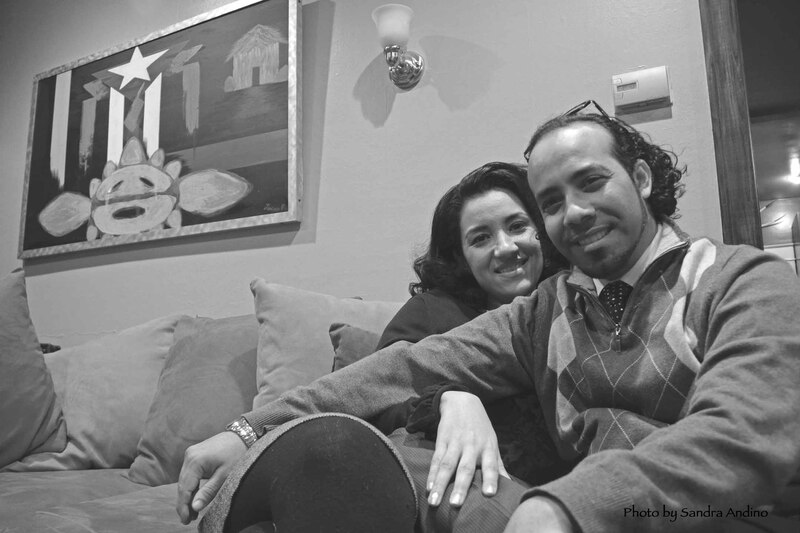 Los Afro-Latinos: What does it mean to you, as an adult, to be Afro-Latina in Philadelphia? Sandra Andino: Being an Afro-Latina in Philadelphia is a sense of pride for me because I owe a lot to Philadelphia for shaping my identity as an Afro-Latina. 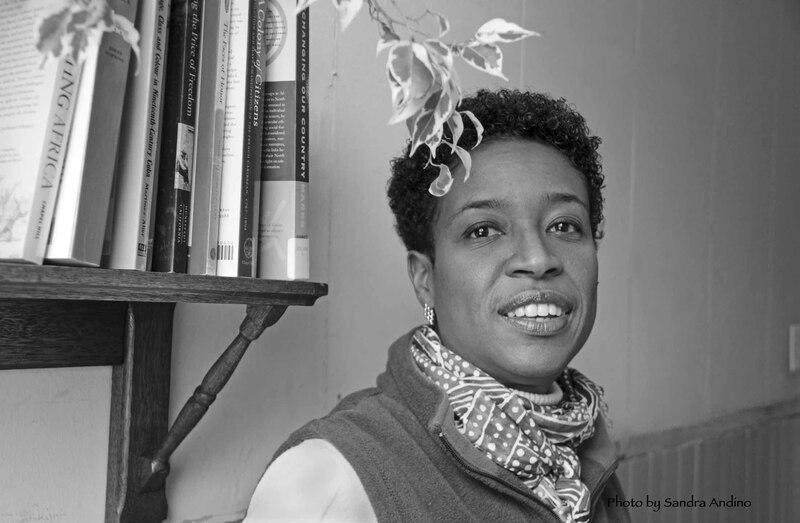 And being where I am today – my consciousness as an Afro-Latina — I owe a lot to Philadelphia. It’s important for older and younger people to see that in Philadelphia that everybody who’s black isn’t necessarily African-American. And I’m not saying that’s less important, because I learned from them [African-Americans]. I’ve learned a lot from the African-American community here, their history, struggles and being black in America. People see me and I feel like I have dual citizenship. I am black; I connect and identify with my blackness, my roots. Rachel Rojas: Puerto Rican, Bomba Music and Dance Director, and Hair Stylist. But I also recognize that I’m also Latina, there’s another phase of my identity that’s about being Latina. And both of them live together. And that’s the issue that’s been so controversial and for some people it’s been so hard to fathom. For other people, this issue of being black and being Latino, and the difficulty people have internalizing that, I still hear today. The fact that there are more people like me that are accepting and acknowledging that publicly and recognizing the value of identifying this way…it’s like the Census. It takes a person to say I want to be counted. The more people in Philadelphia that step up to the plate and say I am Afro-Latino and proud, that is going to begin to knock down walls and fight the racism and prejudice we have even within our own culture, with our own people. For me, it’s very important to recognize our differences and our connection with the African Diaspora. It’s something I face every day, how other Latinos see me. Some Latinos can’t relate or connect with cultures that are of African descent. They can’t see that we’re brothers and sisters. We come from the same roots. When it comes to political struggles and our survival in this country, bottom line, racists people, they’re not going to say you’re Latina and less black. If you look black, you’re black. They’ll target you just as they would an African-American. So that’s what I’ve learned. A white Latino versus a black Latino, their experience is going to be totally different in a racist world. We have to live united and find our common roots with other people who are of African descent. We have to break down those stereotypes in our heads. We need to start walking the same path and be part of the same struggles. I see it as a personal responsibility to educate people. And it’s through my story of being proud of it [Afro-Latino] and not being afraid of speaking about Afro-Latinos and being black. For me, that is a big step that I take every day I walk out the door. I feel responsible to speak up and speak out. That’s what being an Afro-Latina in Philadelphia means to me. Excellent article.I am an African-American whose exposure to what I now know as the African Diaspora came to me as a result of collecting baseball cards when I was a child in the late sixties.Then I found out in high school that there were more blacks in Latin America than in the United States.My interest is to never stop seeking knowledge.Don`t stop teaching. Thank you for this article and website! I am a first generation African-Canadian of Caribbean and Latino parentage and I can relate with Sandra Andino. In Toronto, we have a small but thriving Afro-Latino community that I am currently producing a documentary on and it is encouraging to see so many other Afro-Latino’s documenting our much looked over existence and identity. I look forward to visiting her exhibit and hopefully meeting her in the future.